In order for our clients to have a faster review of our photos, we will select one of the best images each week to put on the blog. (Yea we do not like the photo quality from FB, the photo was not sharp and small….) And explain the idea of the images – it’s important for client to know why we take such shot! I was looking for a place for the groomsmen to take some group photos in the morning, and I found that they are quite FUN to hang around with. 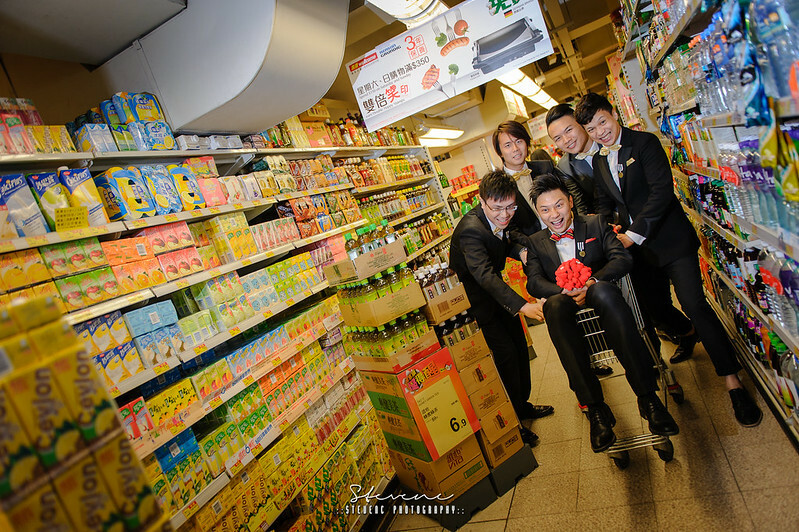 Then I saw the supermarket, and it popped out that it could be very special with groomsmen playing around in there. What I did was to ask them to play with the cart and that’s what I have created. How do you like it? © 2017 STEVENC PHOTOGRAPHY | WWW.STEVENCPHOTOGRAPHY.COM|ProPhoto Photography Theme by NetRivet, Inc.